GOVERNMENT is working with friendly nations such as China and South Africa to reinvigorate the economy to levels that allow for the re-introduction of the local currency, Special Advisor to President Emmerson Mnangagwa, Ambassador Christopher Mutsvangwa has said. Ambassador Mutsvangwa told hundreds of people gathered to welcome his wife Cde Monica Mutsvangwa, who was recently appointed Minister of State for Manicaland Provincial Affairs, in Mutare last week, that there was a lot of goodwill from Zimbabwe’s Asian friends, the Chinese, who had proposed a swap currency with the country. “Such an arrangement will essentially establish a credit window for Zimbabwe to access capital goods from China to retool our industry,” he said. “Industry will then be geared to produce enough to meet internal demand and to export, which will allow us to bring in a lot of foreign currency. Ambassador Mutsvangwa said as the Zimbabwean economy matured in value, the Chinese would also benefit from the development, as they would be creating an export market for their stock. He said the move would allow Zimbabwe to secure credit lines, which would allow it to access world class capital goods that would boost its economic performance through high production levels that had the potential to open up export avenues for local products. He said President Mnangagwa’s taking over of the Presidency had boosted China and South Africa’s confidence in Zimbabwe’s economy. 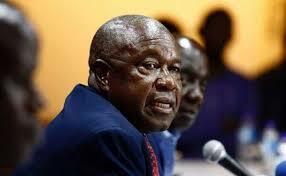 “China and South Africa now know that once they open up credit lines for us, those lines will also create value in their countries, so trade will boom, which will allow our currency to have a powerful footing, so we will have a competitive economy as well,” said Ambassador Mutsvangwa. “Germany has also made indications that it may be amenable with such as arrangement with Zimbabwe should it become necessary. Ambassador Mutsvangwa challenged the province of Manicaland to take advantage of its proximity to the Indian Ocean and resuscitate the trade that used to happen in the past, saying the province’s capital, Mutare, should be Zimbabwe’s gateway to the outside world.